Of course we all know that famous brand and I've been addicted to it most of my life. I couldn't find a GMO, palm oil, dairy free version so I had no choice but to come up with a recipe. I had an idea.. It has 4 simple ingredients, less sugar than the main brands and is quick to make. It tastes like a darker version of the main stream brands, but with the same irresistible flavour. 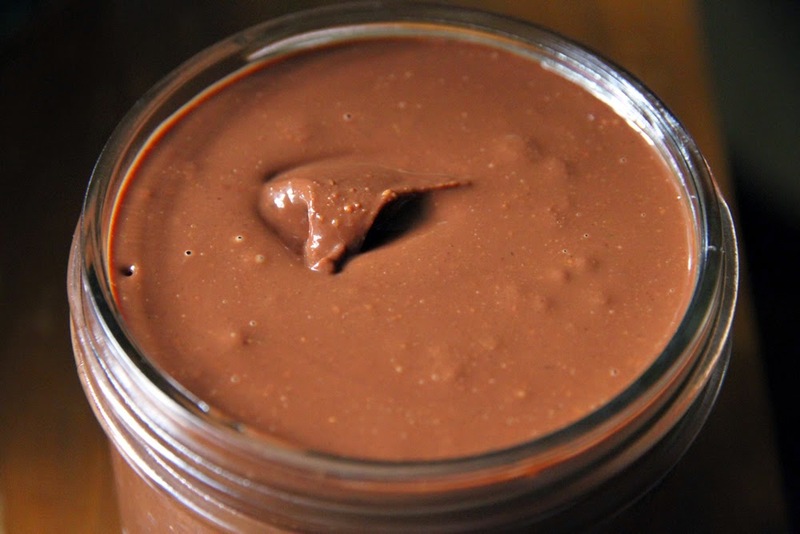 The bought hazelnut butter is what I used for convenience and it still tastes great. For a homemade version you can make your own*. If you want the exact flavour of the regular brands, but a healthier version and you eat dairy, then you can use organic milk chocolate instead of the dairy free chocolate. 1. In a double boiler, gently melt the chocolate and coconut oil and stir in the vanilla. 2. Once the mixture is melted and smooth, stir in the hazelnut butter. 4. Keeps well stored in the fridge for a few months.